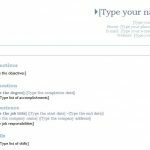 If you’re looking for a simple template that just lists your skills and experiences, then the free Easy Resume Template is the document for you. We’ve cut out all the add-ons and graphics that might distract your interviewer from getting to the core of your abilities. Templates today have been weighed down by powerful color schemes and cartoon graphics. While this may appeal to some industries, others would prefer a more traditional approach and that’s where the Easy Resume Template comes into play. This template has everything you need to list the basic information in a way that’s simple and easy to read. 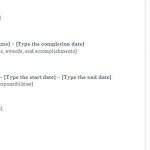 All you need to do is download the template file and fill out the information that has been bracketed for you already. It’s that simple. The only thing that will pop with this free template is your work experience and achievements. To download, scroll down to the bottom of this page and follow the link below. Next, enter your name and contact information in the space at the top of the template. This will include your email, phone number, street address, city, and zip code. 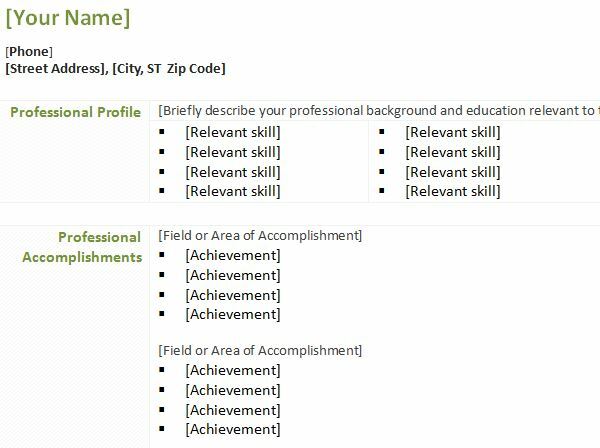 The first section of the resume template gives you a place to enter your relevant skills. Go through and make a bullet-point list of your skill set. After you finish with your list of skills, enter all the professional accomplishments that also relate to the position you want. Finally, at the very bottom of the resume template, you can enter all your previous work history. Make sure to include your job title, the company name, and the city where you used to work. There are also spaces to write your education and references if you want to give that information on your resume. 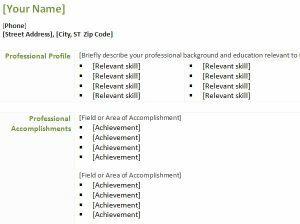 If you don’t wish to include this information, simply highlight and delete these sections from your resume. Just from looking at the design of this template, you can see how easy it can be to quickly make a resume that flows from one topic to the next and shows an employer everything they need to know about you. To get started with your dream career, just download the resume sheet below!